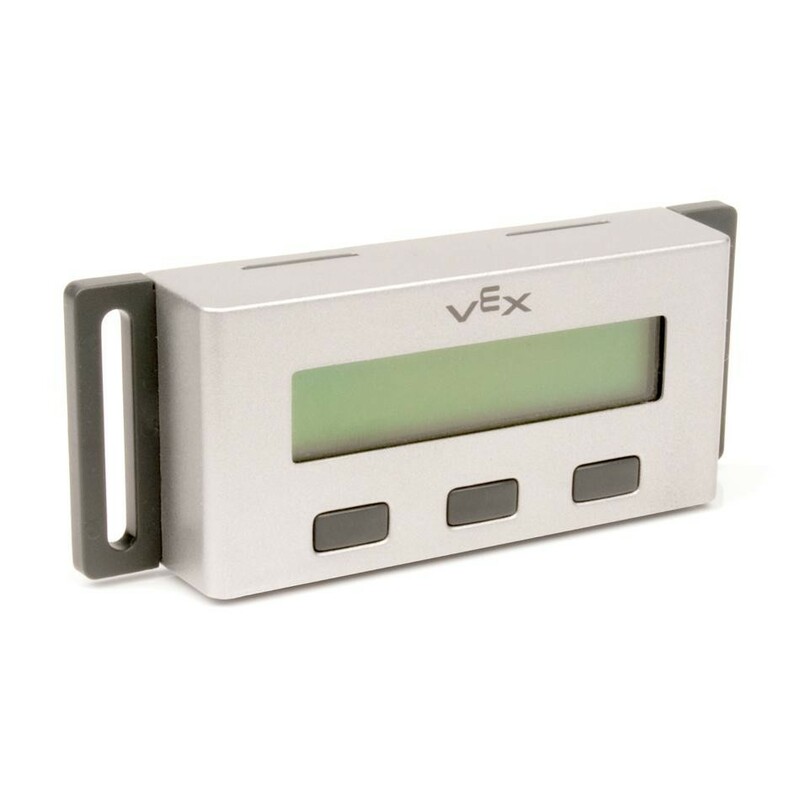 Use the VEX LCD Display to receive real-time feedback from your robot to perform live debugging. Serial Y-Cable required for use with the VEX Cortex. View multiple stored program configurations and select between them or provide additional user-input to your robot. 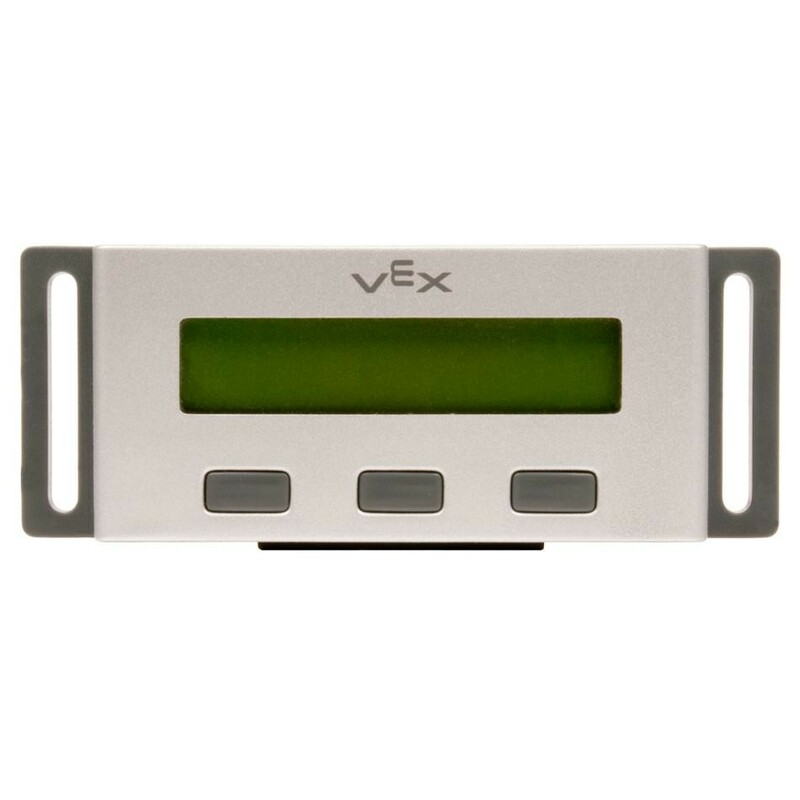 Note: Requires VEX programming software and cables that are both sold separately. PIC Microcontroller V0.5: Requires (2) 3-Wire Extension Cables. 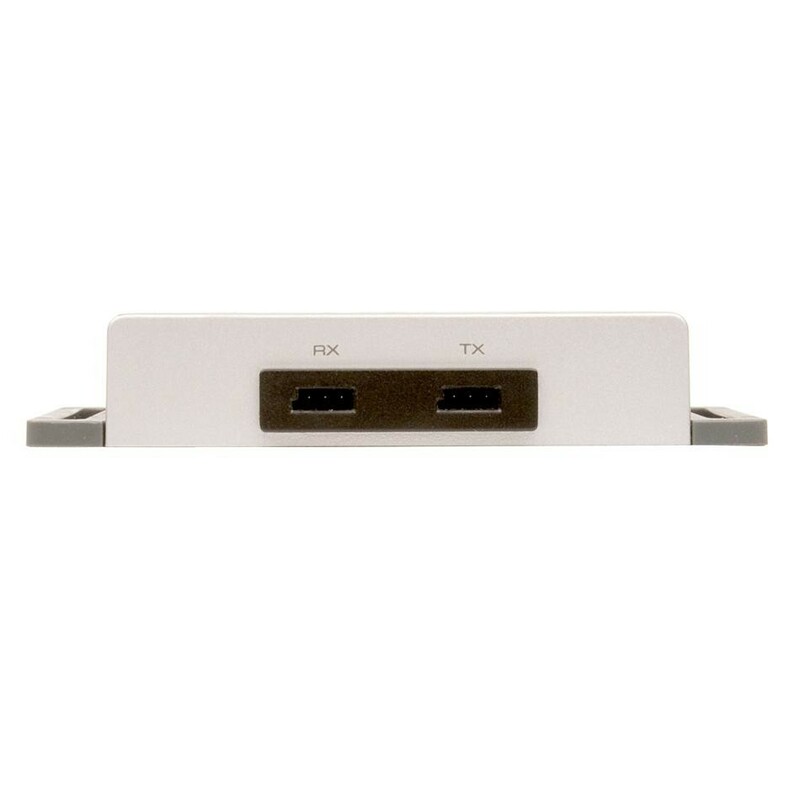 Cortex Microcontroller: Requires (1) 4-Wire to dual 3-Wire Cable. 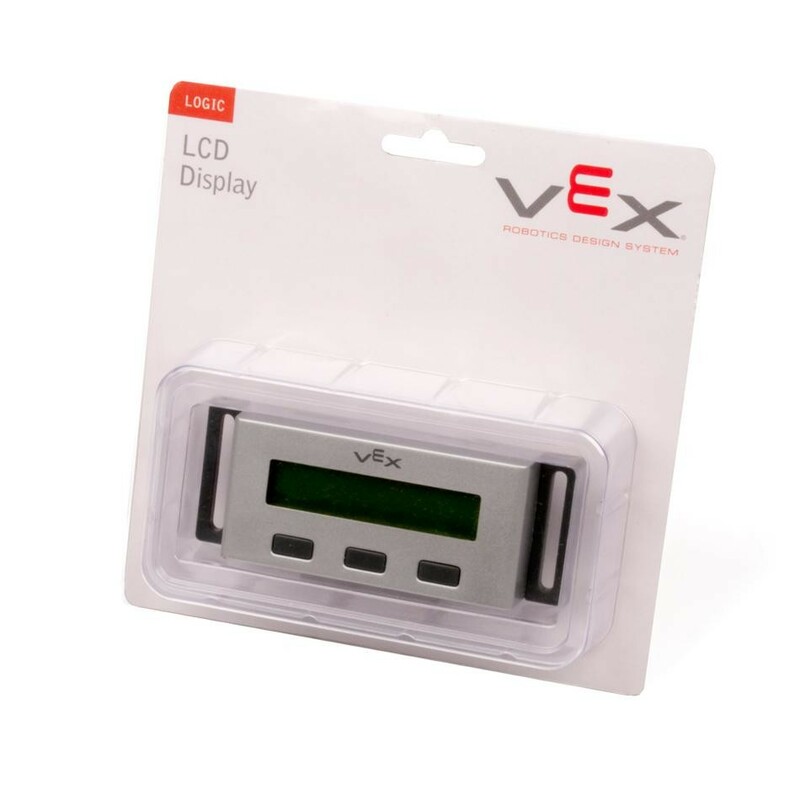 Module: 4.5in W x 1.7in L x 0.8in H.
Screen: 2.6in W x 0.63in H, 16 x 2 Character LCD. Character Size: 0.12in W x 0.22in H.